On offer is a SUPERB Reverse Proof Privy Marked Silver Maple Leaf commemorating the Lunar Year of the DRAGON in 2012. 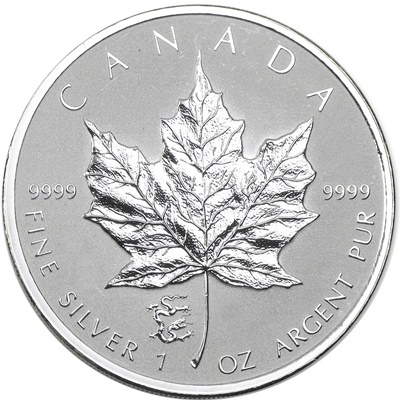 The entire mintage of just 25,000 coins from the Royal Canadian Mint is already SOLD OUT. We also have exclusive access to this ! 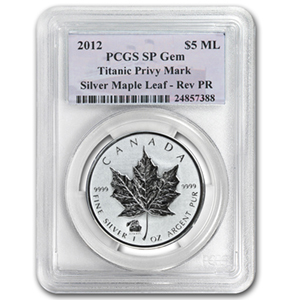 This Silver Maple Leaf coin features a privy mark of the DRAGON on the reverse to the left of the maple leaf’s stem in reverse proof design and has been graded Specimen Gem by PCGS with a special Red Dragon label from PCGS.